A bungalow type house, 125 sq.m. floor area on a 344 sq.m. lot. It has 3 bedrooms, a master's bedroom with built-in closet and own bathroom, two bedrooms with built-in closet and one (1) common bathroom. It has a large living/family room with a bar counter and a nice dining and kitchen area. Included are the existing chandeliers, dining table and sofa as can be seen in the pictures. 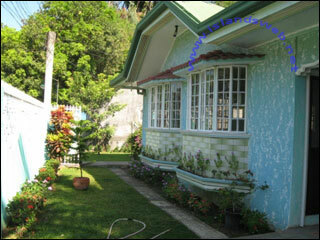 It is a walking distance away from the nearest beach, wet market, groceries, hotels, bars and restaurants. It is located on a very peaceful and quiet neighborhood. It has its own water tank and pump house with a garden/landscape in the frontyard and leftside of the house, with carport at the right side. It is five (5) minutes away from SBMA gate/area where you can find more beaches, yatch club, golf-course, recreational facilities, airports, large hotels, bars and other amenities.